Credit: Christophe Quintin, CC BY-NC 2.0 via Flickr. This relatively large family is distributed mainly in tropical and warm temperate regions. 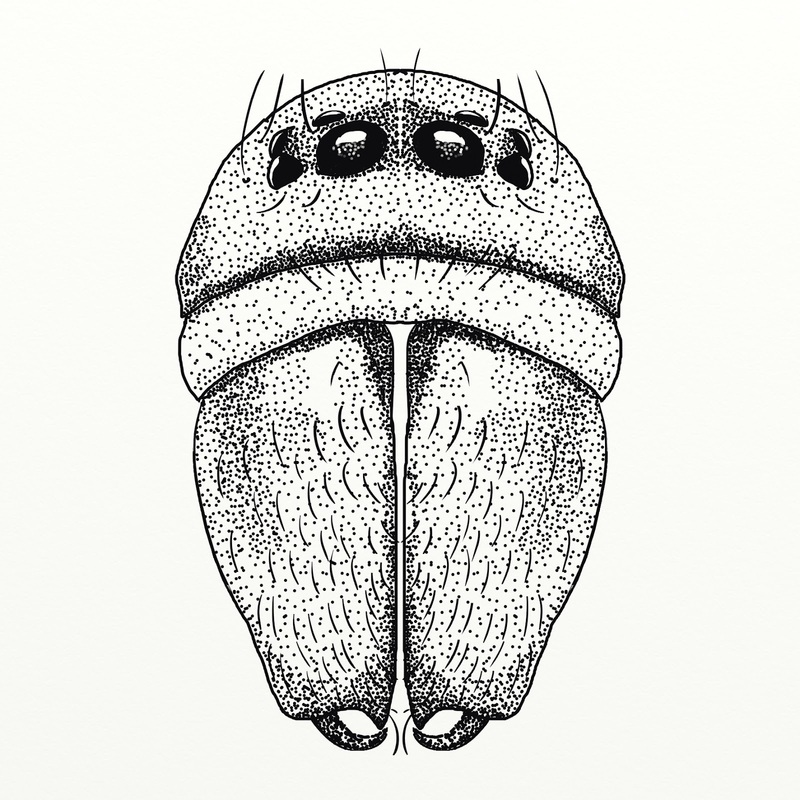 There are four species in the UK, all from the genus Zodarion, and all of them appear to be recent arrivals with first records from 1979 onwards, although there have been suggestions that at least one of them is native. They are very local and tend to be found in the south of England where they live in dry, warm and open habitats in association with ants. 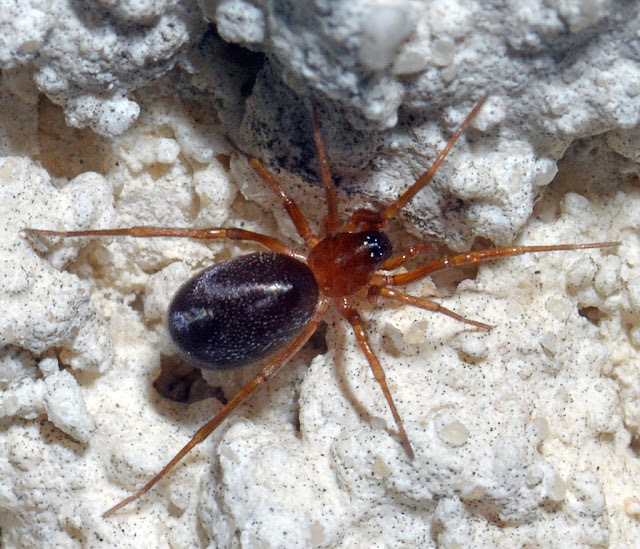 Spiders of the genus Zodarion are ant mimics: they resemble ants in size, shape and also behaviour. 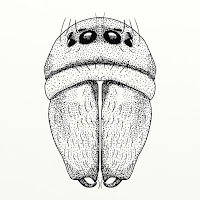 The resemblance goes as far as the microscopic pattern of spines, bristles on legs, cephalothorax and abdomen as ants. Even the effect of a shiny ant body is achieved with ridges in their cuticle. They also imitate ant gait and tactile signals: they deceive ants by tapping with their first legs, as ants do with their antennae. Mimicry is thought to offer them protection from spider predators that avoid ants. But they are also aggressive mimics: they use the resemblance to ants to approach unnoticed, as they feed exclusively on ants, using ambushing tactics. Once they capture an ant, they hold its body ahead of them and present it to approaching ants, a behaviour known as 'shielding', at the same time tapping the antennae of the ant. This way they imitate the behaviour of ants carrying dead corpses away from the nest. 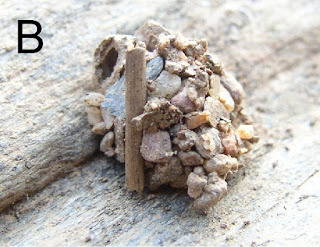 When resting the spiders take shelter in curious igloo-shaped refuges made with small pieces of debris and tiny stones (see photo below). They also lay their eggs in their retreats. Credit: Korenko S, Schmidt S, Schwarz M, Gibson G, Pekar S , CC BY 3.0, via Wikimedia Commons.